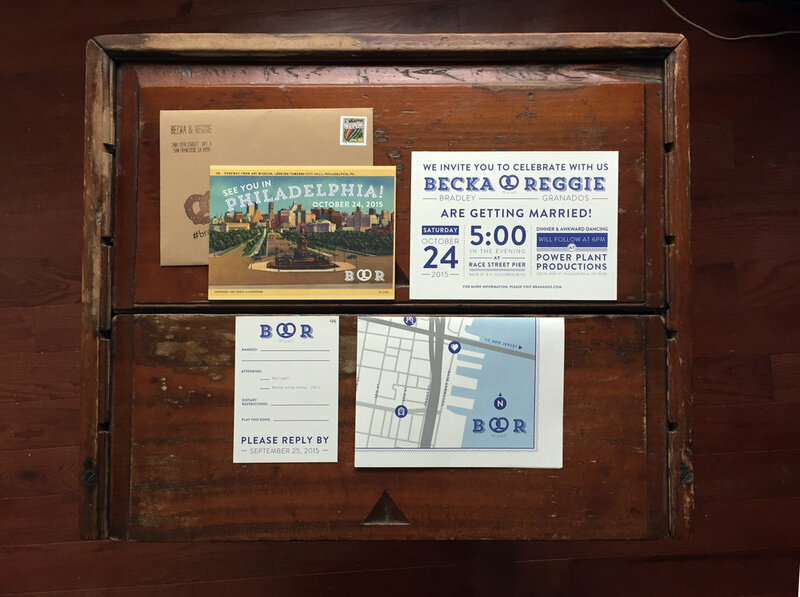 Becka + Reggie — Love Letters Paper Co.
Becka and Reggie wanted to celebrate the city of Brotherly Love with their vintage-inspired invitations. 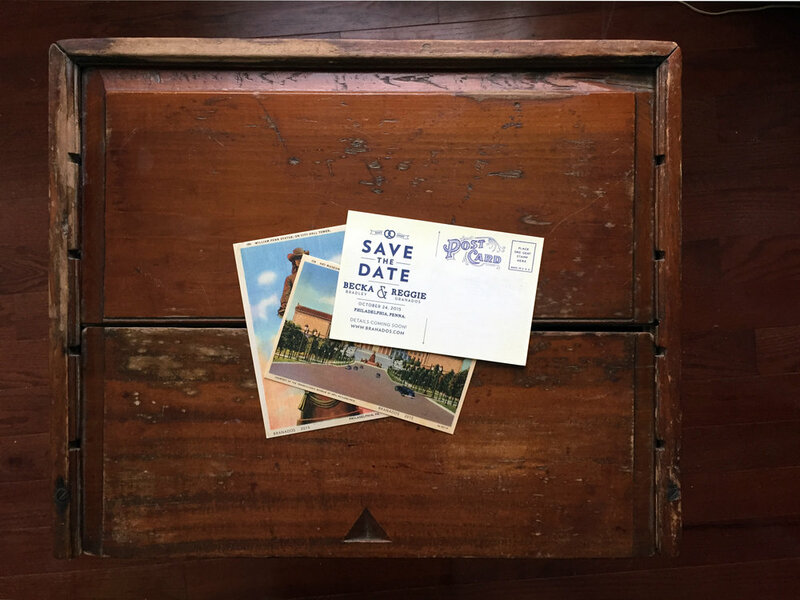 Their save the dates were designed from vintage postcards depicting lithographed scenes of Philadelphia. 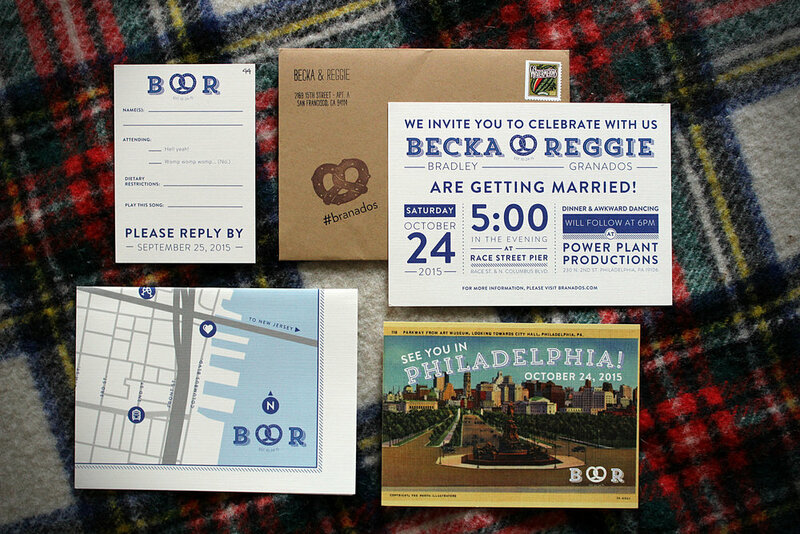 Becka saw to every last detail, down to addressing each envelope with a typewriter and a stamping them with a pretzel and their hashtag #branados (a portmanteau of their last names). 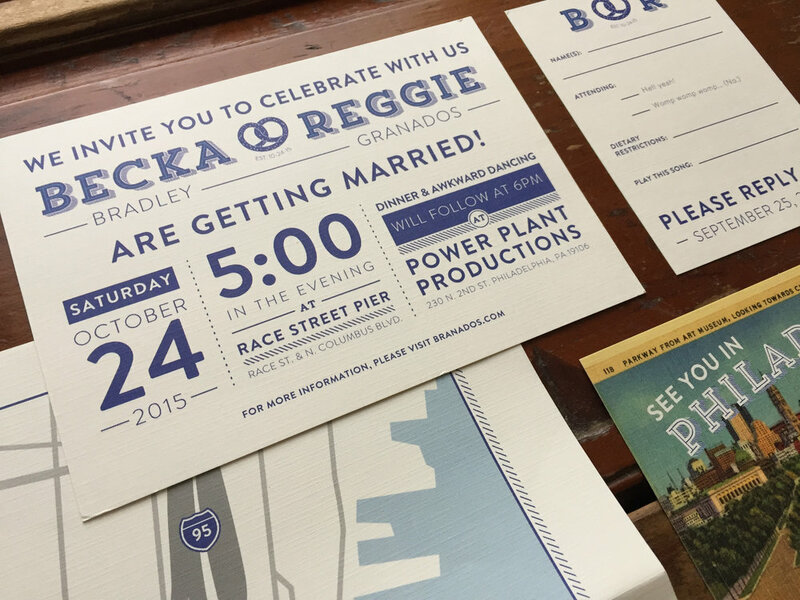 They even included a space for guests to request songs for the DJ on the reply card.